Caregivers need support. There’s no doubt about it. Whether a loved one diagnosed with dementia or Alzheimer’s lives at home with the caregiver, or whether the loved one lives in a memory care community and the caregiver serves as a care manager and trustee, caregivers face continual stress and often a lost sense of self. The Alzheimer’s Association has trained staff and volunteers ready to assist caregivers 24 hours a day, seven days a week. 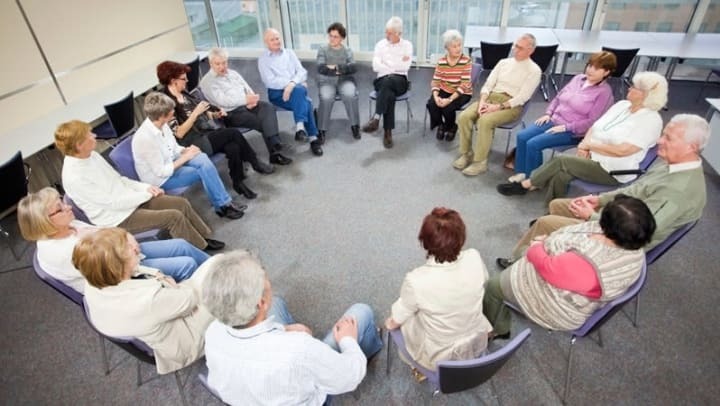 One important way they help is to host support group meetings, and I recently attended my first.I have a good friend whose husband is now settled into a memory care community. It’s been an extremely difficult journey for her and her family, but her husband is now safe and she visits him frequently. Recently she mentioned she was going to attend an Alzheimer’s support group meeting for wives; I offered to go along for general support. Neither of us had ever been to a support group meeting. We were new to the process, but not new to the ravages of dementia/Alzheimer’s. The meeting was well attended. There were 16 of us plus a volunteer facilitator who was warm and welcoming. This Women’s Caregiver Support Group was made up of a few “survivors” – women who survived the caregiving process and were there to support others – and active caregivers, women providing care for or managing the care of a husband/partner. Our facilitator is a "survivor" and her committed volunteer efforts are to help others on this difficult journey. Once the paperwork and introductions were completed, the meeting moved on. We went around the table again and each person was invited to share whatever was on her mind- no judgement - just understanding, support, Kleenex, and plenty of chocolate. Because confidentiality is an important component to successful support group meetings, I will not share the specifics of what the women shared. Everyone had an opportunity to give an update on their situation and share their thoughts and feelings—their updates, frustrations, anger, guilt, fatigue, and despair. The survivors gave testimony that there is light at the end of the tunnel. They spoke openly of how they dealt with family members who had lots of opinions but little or no time to take on part of the caregiving challenges. Their advice: Do what’s best for your survival. They also spoke of reclaiming their lives after their loved ones died. I was quite moved by their commitment to share and to be present for others. After people shared, our facilitator told us that she had taken a few notes. She spoke to many of the issues or situations we brought up. Every woman was validated and valued. There was laughter, nodding of heads, tears, and a wonderful spirit of support. Our facilitator reminded us several times that the Alzheimer’s Association “is here to support you.” She strongly encouraged us to call the helpline any time we had questions or concerns. “They are available 24/7," she said, "and there are trained volunteers and professional counselors to help." My friend was delighted with her first support group experience as well. She will continue to attend, and even though she did not think she would know anyone, it turned out that the wife of one of her husband’s former roommates showed up. 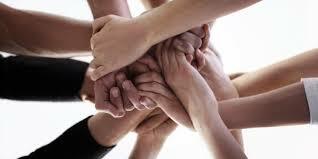 The Alzheimer’s Association offers a variety of support groups. Participants travel a similar journey and can be the wind beneath each other’s wings. No doubt about it. I was very moved and heartened by what I experienced. This support group was so important to participants that many made special arrangements to have time to attend. If you are a dementia/Alzheimer’s caregiver, expect to be a caregiver, or know of someone who is a caregiver, I am happy to report that some remarkable support is available. It is free for the asking, thanks to the growing financial support of donors who have made and are making this difficult journey. It is estimated that 40% of caregivers die before their loved ones die. The stress of caring for someone with dementia/Alzheimer’s is often life threatening. However, it is possible to move forward with support…and the sooner the better. Please Share: If you know of an Alzheimer’s Association support group in your community, please feel free to share information about when and where it meets. Thank you! About the Author: Jenny Mummert, M.Ed., has a career background in higher education. She lives in mid-Missouri and has managed the care of her elderly parents, both of whom had dementia and lived 400 miles away. 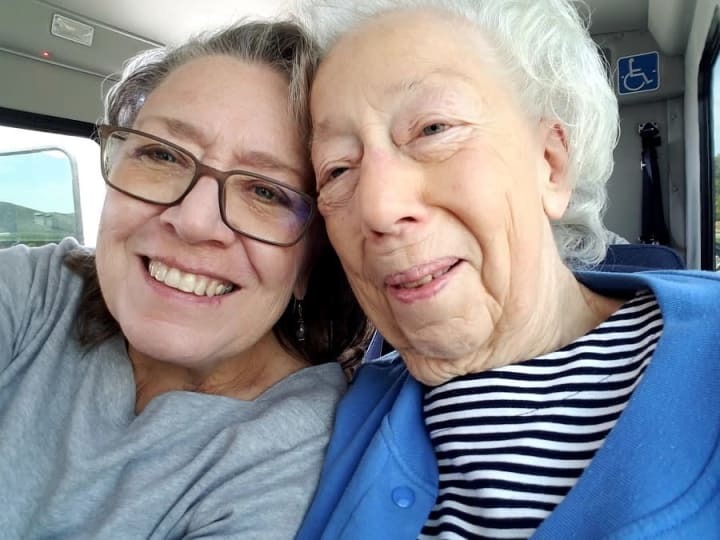 Her personal blog, “Drifting Toward Planet Elderly,” serves as therapy, a family history, and a case study of her family’s journey with dementia. Jenny’s mother now lives in Mid-Missouri where they enjoy daily morning coffee and chat time with friends at The Arbors at Mill Creek Village.